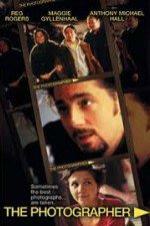 Buy or Rent The Photographer (2000) Movie DVD & BluRay Online! Movie Plot: A year after becoming the toast of New York City’s art scene, photographer Max Martin has lost his ability to take a decent picture. On the night before his make-or-break gallery opening, surrounded by the trappings of success but devoid of inspiration, Max embarks on a bizarre trek through the city in search of ten mysterious photographs that could save his career. Shot in brilliant color and dramatic black and white, first-time director Jeremy Stein’s industrial New York City is a wonderland, roamed by witches and magical creatures, where survival hinges on the completion of a simple quest. Accompanied by an unlikely crew of strangers he meets along the way, Max trips through a modern-day Oz and rediscovers the easily forgotten value of seeing magic reflected in everyday life.